Some of you may have read my post a few weeks ago entitled “One of Those Days,” in which I described a day of noteworthy rowdiness at Wassel Bros. & Co. Headquarters. Well, when you’re trying your best to raise a pair of exceptionally active toddlers, sometimes every day can seem like “one of those days.” Really, we could just nix the demonstrative pronoun all together. Every day presents unique challenges, but I think the most difficult ones to get through are the ones that make you question your competency as a mother. And today was definitely one of those—er, well, let’s just say it was particularly tough. Trying my best not to sound so cheesy I belong in this place, I can genuinely say that I love spending time with my boys. They are sweet (when they want to be), entertaining, hysterical, and nuttier than a squirrel’s bowel movement. Most of the time we spend together stems not from some sense of motherly obligation, but rather a sincere desire to simply hang out with a couple of groovy little dudes. I cherish the opportunity to witness (and sometimes take part in) all of their crazy antics. Do note that I said most of the time. I’m human. And I've always considered myself a bit of a loner/introvert type. Thus, every now and then, I need some alone time to decompress a bit, away from the fraternal madness. Such was the case today. I was at the computer, editing some photos, while the boys kept each other busy (read: terrorized one another) in their toy room. I typically keep the door open and place a baby gate in the doorway so I can periodically glance in their general direction to make sure no one’s at risk of decapitation via toy pizza cutter, or of becoming a total blockhead (like, literally, getting repeatedly pelted in the skull with wooden blocks). They were getting along exceptionally splendidly this morning, and I had the luxury of enjoying my personal time in a few rare moments of peace and quiet. In retrospect, that should have tipped me off. My boys are not quiet. Unless they’re asleep. Even then, they've been known to pound the wall with their diminutive—yet, surprisingly strong—little feet during the night, making our house sound like some sleazy, hourly-rate motel. The only other scenarios I can recall that have involved their voluntary silence is when they’ve been up to something. When I realized how abnormally quiet it had been for the past few minutes, I whipped my head around to the toy room doorway. Sure enough, the gate had been knocked down as definitively as the Berlin Wall, and the boys were nowhere to be seen. attention span to make a music video. After checking their room (to which they often flee, entertaining themselves with the recently-discovered “on/off” capability of their sound machine—a phenomenon which, judging by their hysterical laughter, is The Most Hilarious Thing in The World), I made my way toward the master bedroom and heard the telltale sound of Stuff Being Strewn Everywhere. 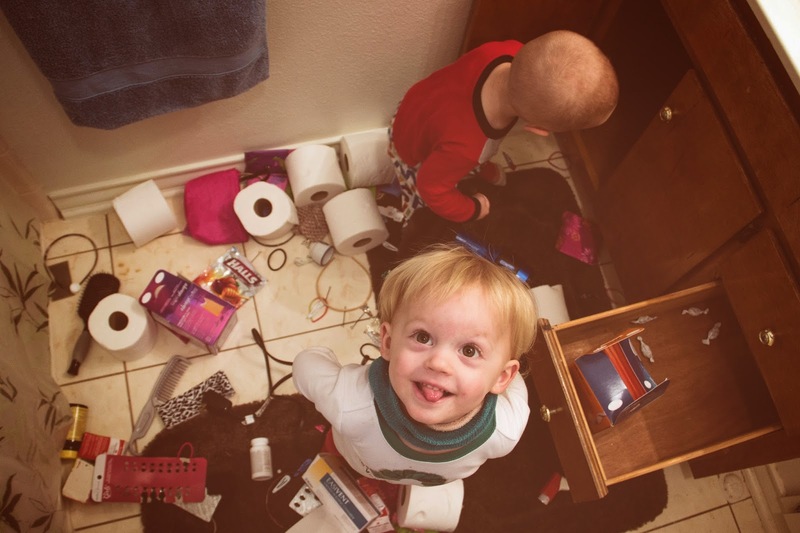 Sure enough, they were in the bathroom, taking turns hiding in the cupboard beneath the sink, building towers with toilet paper rolls, and perplexedly studying my feminine hygiene products, probably wondering why Mama’s “diapers” are so much thinner than theirs—and lamenting the absence of Sesame Street characters on them. Although I certainly wasn't looking forward to reconfiguring our bathroom cabinets and drawers, I had to laugh. I mean, Trystan had also found some of my sweat bands and had miraculously managed to pull them over his abnormally large head, leaving them draped around his neck, creating the illusion that he was wearing some sort of technicolor turtleneck. So I got out my camera, snapped a few photos, corralled them back in the toy room, and got to work cleaning everything up. That’s when I found a small travel-size bottle of Advil—lid popped off—and a single orange pill nearby on the floor. There have been few moments in my life when I've been so gripped by fear that my limbs literally will not allow me to move. However, when I saw that little bottle, I felt like the air around me had undergone some sort of warped, sticky condensation process. It was like trying to move in a giant bottle of rubber cement. When I finally snapped out of it, I ran back to the boys and asked if they’d eaten anything out of the bottle. 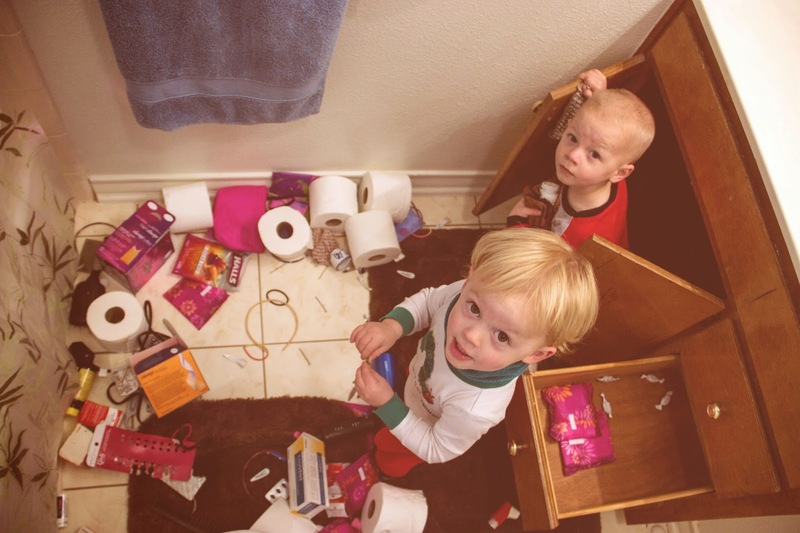 When they just stared at me, I asked—a bit more frantically—if they’d eaten any “candy” in the bathroom. This, of course, only led to them demanding candy. 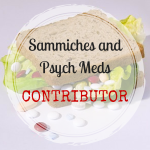 Even though I thought it unlikely that they’d ingested anything (they were acting normally—for them—and I couldn't imagine them willingly “eating” something as bitter as Advil) I called my husband, who told me to call 911, and within ten minutes there was an ambulance parked in front of the house and paramedics asking my boys to say “Aaaahhhhhhh” while shining flashlights in their mouths (which they also tried to eat, not exactly mollifying my fear that they’d put something they shouldn't have in their mouths). All the while, I was trying to just keep it together, as my insides felt like they were wrapping themselves around my heart, crushing it with a lethal concoction of fear and guilt. The paramedics agreed with me that the boys hadn't appeared to have swallowed any of the medicine, but said that they would be more than happy to take them to the hospital to get checked out. By that time, my husband had gotten home, and we opted to drive them to the ER ourselves. I won’t drone on about how long we had to wait in the waiting room (aptly named, unlike the ironic term patient), how much they squirmed and protested while getting their vitals checked, or how rowdy they were by the end of the visit. To make a long story short (a technique I wish we could have applied to our visit), the boys were their typical mischievous selves the entire time—playing leapfrog on the waiting room chairs and foraging through drawers of medical equipment), everything checked out fine, and we were home with ample time for them to destroy the kitchen while I picked up approximately 10,000 bobby pins off the bathroom floor. Our time in the ER was an emotional whirlwind for me. Although I was beyond relieved that the boys were okay, I was also—understandably—ashamed, angry, and guilt-ridden about what happened (or could have happened) under my watch. Perhaps it would be more felicitous to say under the lack of my watch. I am their mom. I am their protector. Someone who is supposed to keep them safe. I felt as though I’d let them down, and the well-intentioned “It could have been a lot worse” remarks from the hospital workers were a far cry from consolation. I knew that things could have been worse, and that’s exactly why I was so distraught. My boys are my world, and I’d nearly allowed our orbital path to be severed by a moment of neglect. As if the thought of losing them wasn't painful enough to fathom, I was also dealing with the harrowing certainty that it would have been my fault. While we were waiting to be discharged, I had called my mom in tears, explaining the situation and telling her how irresponsible I’d been. She cut off my rambling and said firmly, “Samantha. You are not a bad mom.” My mom—who I have always looked up to as the quintessential mother, who I aspire to be like—then proceeded to tell me multiple stories of her own “scares” when we were growing up, including multiple broken bones I’d had in my childhood. Her words meant more to me than I can linguistically express, and that’s saying something. I have a propensity for verbosity, in case you haven’t noticed by now. I’m a mom. It is—now—how I primarily define myself. But I’m also human, and like any human being in any line of work, I make mistakes. Doctors misdiagnose. Writers make typos. Basketball players miss free throws. Lawyers stutter in court. Baby gate manufacturers don’t account for double-teaming toddlers in their designs. Luke Skywalker got his hand cut off. We all make mistakes. That doesn’t make us “bad” at what we do; it makes us human beings. 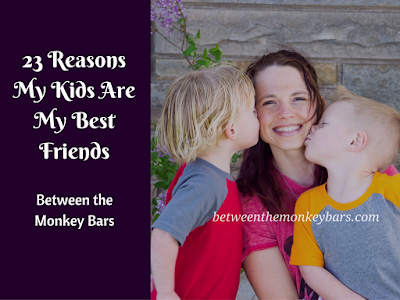 I think the majority of moms have moments when they feel like “bad moms,” even though they know in their hearts that they would do anything, give anything, be anything, for their children. God didn't make us perfect, and He allows us to make mistakes so that we can grow from them. I think, deep down, I know this—that all moms know this—but it still helps to hear it from someone else every now and then. So to any of the moms out there reading this: You are a damn good mom. I am a damn good mom. With two incredibly strong, determined toddlers. And a crappy baby gate.